I am in full agreement with John Pucher, as I note in my book, The Road to Ruin, and in my urban design and presentations. Indeed, I am increasingly convinced that we need to find a way to leverage increased congestion, increased use of priced & scarce car parking, gas tax increases, increased urban densities, increased road dieting, increased traffic calming, and more road pricing if we, in the US, expect to effectively grow the number of bicycle, pedestrian and transit commuters. In other words, by using price and convenience signals. Admittedly, these tactics are exceptionally difficult, politically. As a result, we end up only using ineffective tactics (and then getting more cynical when such tactics fail). But I remain optimistic that as our transportation and financial problems worsen due to dwindling oil supplies and our on-going auto dependency, that political leadership will emerge (it has been in very scarce supply for several decades, largely due to the lack of sufficiently worrisome crises). I am also growing more fond of the idea that by using effective tactics and thereby meaningfully increasing the number of bicyclists, pedestrians and transit users, we will begin to see a virtuous cycle forming. A self-perpetuating loop that provides desirable changes on its own. A substantial rise in the cost of gasoline provides an example of a virtuous cycle. As gas costs rise, most motorists seek to make changes that will reduce the rising cost of driving a car. Some may drive less, and walk or bicycle or use transit more. Others will drive more fuel-efficient (and smaller) cars. Or start living closer to their destinations. Not only does this improve household and government finances (due to avoided transportation costs such as car and gasoline purchases, and lower road construction and maintenance costs). It also improves public and environmental health (due to more physical exercise and lower pollution emissions). These changes incrementally induce non-auto transportation improvements. The changes also result in more compact, mixed-use land use patterns. Which induces even more walking, bicycling and transit use. Another example is that many in the US don’t bicycle, walk or use transit even though they have reasonably short travel distances. I believe that at least some of that reluctance is due to a perception that non-car travel is unsafe. Or not “hip.” If motorists start seeing growing numbers of their fellow citizens getting around by bicycling, walking or using transit, such travel will seem more “normal” and therefore more desirable for the larger population. And that can help recruit more non-car travel. Which further promotes the “safe and hip” perception. Which then recruits even more to ride a bicycle, walk, or take the bus. In addition, a larger number of non-car travelers can, I’m convinced, result in dramatic safety improvements (via “safety in numbers,” and all that implies). “Floor Area Ratio” (FAR) is a commonly used land development regulation for nearly all communities. The ratio specifies how tall a building can be, or how much of the parcel the building can be built on, based on the size of the parcel to be developed. An FAR of 1.0, for example, allows the developer to build a one-story building that covers the entire parcel, a two-story building covering half of the parcel, or a four-story building covering 25 percent of the parcel. Commonly, citizen groups in town center locations urge their elected officials to keep FARs extremely low to “protect” the neighborhood for “excessive” densities or intensities. However, I do not believe that FAR rules that are deemed “too high” should be a concern for neighborhoods seeking a walkable, quality habitat for humans (assuming this is an objective). Walkability and transit advocates correctly note that FARs that are too low result in loss of human scale, loss of densities and intensities needed to support transit, and loss of walkability (because low FARs often result in excessive building setbacks and huge parking lots). FARs provide very little, if any, guidance about what sort of positive vision is sought by the community. In my opinion, a much better approach than urging low FARs (which is essentially a negative approach saying here is what the developer must not do) is to set out a graphics-based vision for what is considered desirable examples of compatibility. 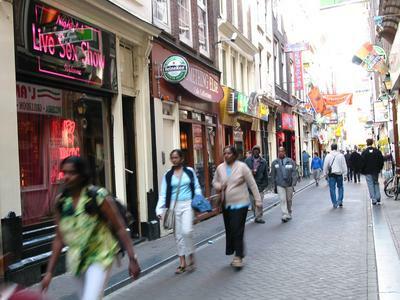 Hopefully, such examples would include compact, human-scaled, charming, traditional, lovable, walkable designs. First, for approximately 80 years, developers and designers have abandoned the tradition of designing for people-happy, traditional places. Instead, the imperative is to design for happy cars, which creates unlovable, scary places. Given this, it is understandable that we always expect new development to worsen our communities, and decide that the only thing we can do is to adopt strict rules telling designers what they CANNOT do. We cannot trust them to give us lovable design, given their horrendous track record since the 1920s. Second, many of these activists are thinking as motorists rather than as citizens. Too often, they ask “What design will be most convenient for my Ford”? 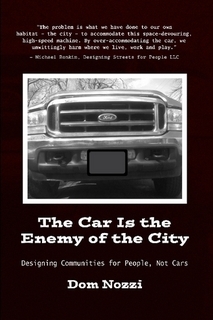 Ruinously, the design desires of cars are nearly opposite of the desires of people. 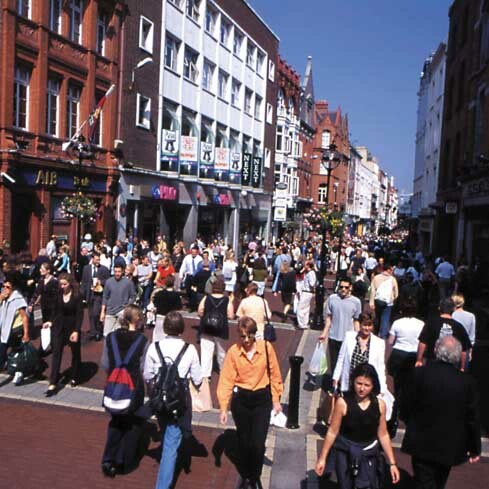 Richard Untermann, a well-known urban designer, calls for FARs of 2.0-3.0 in town centers, and 3.0 for office areas. San Diego requires at least 0.5 FAR near bus stations. To increase employment densities, Orlando requires both a minimum and maximum FAR for most commercial zoning. However, a FAR of 1.0-2.0 is considered ideal for creating transportation choices, yet most cities allow less FAR than this in town centers. Every 20 percent increase in floor space in commercial centers developed as non-office uses is associated with a 4.5 percent increase in ride sharing and transit use. Small villages using compact, charming, human-scaled design are almost universally loved, and end up being the most popular destination for a great many tourists around the world. Americans are often their own worst enemies by urging that such design should be made illegal. That all we should allow is low-density, drivable suburban design.